Staying safe when taking a trip away from civilization is of utmost importance. While we enjoy the feeling of being out on the water, sometimes incidences occur where you need rescue in a life and death situation. That is where a personal locator beacon comes in. Designed to be activated only when you need a full-scale rescue mission to be mobilized, it is the kind of GPS Emergency Locator you want to use when you are in real trouble. What Happens When Triggering an SOS? What is Iridium Satellite Coverage? 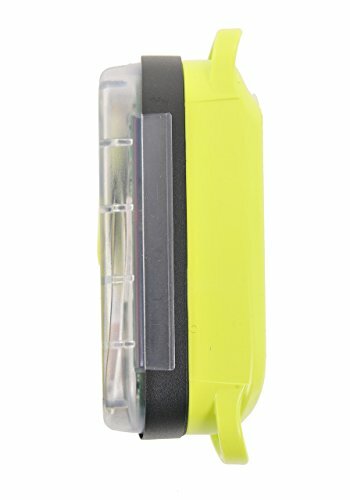 Personal Locator Beacons also known as PLBs are devices that send an emergency message to Search and Rescue Teams (SARTs). The emergency signal is picked up on a worldwide satellite system that sends the message to the people on the ground on their receivers. When activated the PLB sends a message at 406MHz that is a frequency designed specifically for SOS/emergency messages. The signal can be picked by Low or High Earth Orbit satellites which identify your location by picking up your GPS coordinates and relay the message to search and rescue authorities. Some PLBs allow you to send short character messages. These can be predefined texts or digital notes that are sent to anyone with an email address. When you press the SOS button, an emergency procedure is activated. The message you send for help also includes your location. With a two-way communicator, local search and rescue teams can get back to you with their ETA and how to handle your current situation before help arrives. Iridium is a global network owned by Iridium Communications. The satellite network consists of 66 Low Earth Orbit satellites that provide coverage to integrated receivers, satellite messengers, and pagers. It is a commercial network that requires users to subscribe to the service. Iridium provides critical coverage when you need it most. It has been associated with helping rescuers pinpoint the location of airplane crashes as well as climbers who lose their way in the mountains. If your activities revolve around water sports or if you come across inclement weather, you will need your PLB to withstand water or a good soak in the rain. You don’t want to be out with an emergency beacon that does not work when you need it most. Garmin iReach Explorer+ is a go anywhere device that will let you explore the wild and stay in touch with friends and family. Wherever the adventure takes you from domestic to international touring the Garmin iReach Explorer+ provides communication, navigation, location sharing, and essential SOS functions. It is the kind you pick when out boating or hiking in the back country. With Garmin iReach Explorer+ you can text and message via email even when there’s no cellular coverage thanks to its worldwide coverage on the Iridium satellite network. This means you can get in touch and share your expeditions every step of the way. This device supports 3 types of messages. One, it allows sending of ad-hoc messages that are up to 160 characters in length. These messages can be sent as a text message or email to anyone on the ground including emergency rescue teams. The signals have a GPS location on them which makes it easy for people to find you even if you don’t know where you are. The second type of message is a pre-defined quick text message which you can change some characters to help you communicate faster. It also has other predefined messages editable in the inReach web portal. The third type of message is the SOS which activates a search and rescue operation. It is perhaps the most important when you are caught out in a storm, adrift, or in a life and death situation in the woods. With two-way communication, it is possible to get instructions from the rescue team on how to manage your situation before they arrive. You can also alert others about a victim and seek help when you find a challenging situation. You will always know if a message has been sent since it offers a feedback sound that lets you know if the person on the other end has received the message. It is the assurance you need when you are in danger or even warning a friend about a lone bear that could be wandering your way. When you turn on the tracking function family and friends can track your progress using the MapShare Portal. People can see your exact location on their mobile devices, and you can even pin it on social media, websites, and blogs. This beacon can also share waypoints at particular times so your crew will get updates. You don’t have to physically go back to the communicator each time you need to tell others about your current whereabouts. 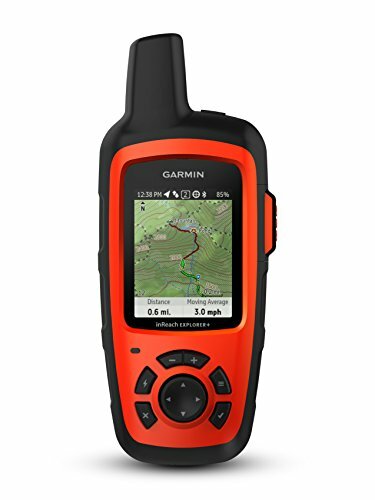 inReach Explorer+ comes with preloaded DeLorme TOPO maps. It has onscreen GPS mapping where you can drop way points and route your location to find your way in an environment that you are not familiar with. You can avoid reaching out to rescue teams which can sometimes cost a lot of money for the resources they have to use to find you. Not to mention, this communicator uses the free Earthmate app to sync with your Android smartphone or iPhone via Bluetooth. This way, you can access a wide variety of maps including NOAA and color aerial imagery. When your hiking beacon is paired, it means accessing the inReach features which also means a faster way of communicating with people by easily accessing your contacts. Garmin inReach Explorer+ has a weather forecast service that lets you know about the weather to expect. It has basic and premium weather forecasts where you can choose weather forecasts for your current location or your destination. ACR ResQLink+ is a critical piece of every adventurer’s gear. Designed for use in all types of adventures, this PLB is an excellent companion around water activities because it is buoyant and waterproof. 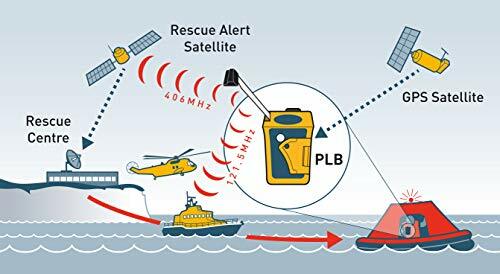 For those who love boating and kayaking expeditions, you will be able to activate this PLB from anywhere on the planet and get rescue workers to your location in the shortest time possible. Unlike other communicators, ACR ResQLink+ does not require monthly and annual subscriptions. It operates on a government satellite network and it does not offer two-way communication. As such, it should only be activated when you are in grave danger. It is a GPS beacon so as soon as you press the emergency button, it will send out a message with your location. The signal is relayed over Low Earth Orbit satellites and around the USA it will only take around five minutes for Rescuers to identify your location. 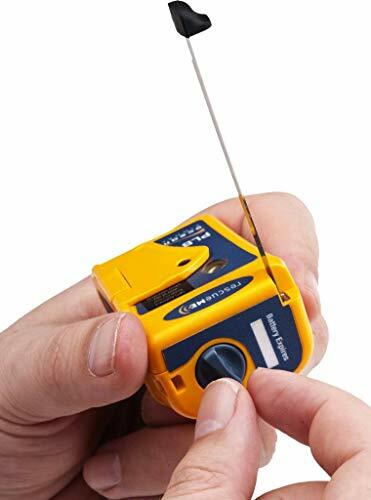 It is a lifeline communicator that you will want to have peace of mind if you venture out too far out on the ocean, desert, wilderness, and many other destinations. The ACR ResQLink+ can send out a message on the 406MHz frequency. It is fast and effective to help rescue authorities find you in a short time. It also communicates over the 121.MHz local homing frequency. Rescuers are guided to your exact location using its 66-channel GPS. It also tells search and rescue who you are, so they can be ready with the relevant rescue tools that apply to your situation. Remember search and rescue teams know who you are if you have registered your PLB. To activate the ACR ResQLink+, you just have to unhook the antenna and swivel it in the upright position. Point up to the sky and press the ON button. Pointing it up to a clear line to the sky will increase connectivity chances and also ensure that your message reaches the relevant authorities. We wish there is a way to know if the message is received by use of a beep or a visual confirmation. But since it is an emergency beacon, we believe it works as stipulated. Sometimes you may wonder if the device works correctly, that is where self-tests come in. With its two built-in tests, you can check the device’s circuitry, 406MHz frequency, GPS functionality, and battery power. It assures you it will not be disappointed if you need to use it in an emergency. This device is only 5.4 ounces and 4.5 inches long. It is a device you won’t have to look for extra space in your backpack for as it is an item you will need to have with you. Not to mention, it can fit in your pocket meaning you will always have it with you at all times. If rescue needs to happen at night, you have a device that will provide enough light for you to find your way in the forest or deep brush. It is also important when rescuers need to find in places where coverage is not at its best. ACR ResQLink+ has a battery that will transmit continuously for 30 hours when the PLB is activated. It comes with a 6-year warranty, and ACR estimates its shelf life at 11 years. 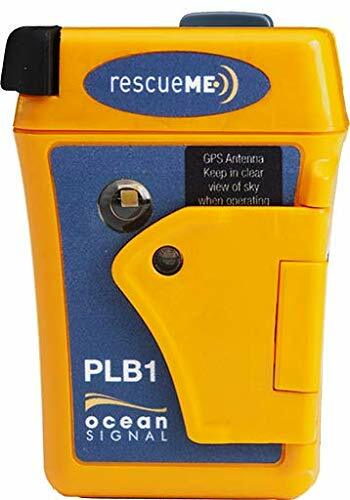 Operated by COPAS and SARSAT, rescueME PLB1 by Ocean Signal is a pocket size emergency device. Anyone who loves the outdoors knows that even the smallest injury like an ankle twist can be a major problem if you are alone and without a cell signal. You can’t call 911, so your chances of rescue are next to zero. But with rescueME is as easy as activating SOS and communicating with search and rescue. It does not allow you to send short text messages though. This means only using it when it when needed. Ocean Signal rescueME PLB1 is activated by pressing a button. It has global coverage, so you don’t need to wonder if will work in your current location. You will want to register your rescueME PLB1so that authorities can know who you are by using the information you leave with them. It transmits on the 406MHz frequency coupled with GPS coordinates. It is a long-range frequency that is continuously monitored by rescue organizations. Its wide coverage increases your chances of rescue and the time it takes for them to arrive at your location is shorter. The good thing is that this personal locator beacon does not need any subscriptions. Just like the ACR ResQLink+, it is cheap to operate in the long run. It is a top satellite tracker as it will promptly notify rescue teams nearest to your location and will continue updating them of your position every 25 minutes for 24 hours. As we mentioned, this is a pocket-size device. You can secure it to your life jacket or put it in your backpack with no fuss. It can attach to almost any device using a mounting cradle and a rubber strap. It is the ideal device for marine and on land excursions since it comes with a buoyant case. It remains afloat so no chances of sinking to the bottom of a lake if you are adrift and need to press the emergency button. You can operate this rescue beacon with one hand to help activation even in the most adverse and challenging of situations. You will also be glad it has a spring loaded flap that prevents inadvertent use. With a 7-year shelf life, Ocean Signal rescueME PLB1 shows reliability for the avid adventurer. It has two self-tests that help to determine if the beacon is working correctly. When you extend the antenna and press the Test Key, the indicator light will tell you the status of the device. The LED lights are explained on the user manual. This satellite tracker is excellent insurance for adventurers who are often off the grid. Head offshore with peace of mind when you have the ACR GlobalFix Pro. It is an emergency positioning beacon that will help rescue teams find your location if you ever find yourself lost and injured on the water. Built with an impact resistant polymer, this device is going to withstand the harsh marine environment. It has been engineered after a series of tests which resulted in this very capable device. It is impact and UV resistant such that it will not fade out after exposure to the sun. Neither will the internal components get damaged when you drop it on a hard surface. We like that it is a waterproof rescue beacon that you can drop in water of up to 33ft for 10 minutes and it will work just fine. With its two self-tests, you can conduct a thorough test for the circuitry and the GPS if it has come under water contact or high impact. Remember that GPS testing will draw some power so you will want to have it charged. When you activate the ACR GlobalFix Pro EPIRB, it will send out a message to orbiting satellites. At the same time, Global Positioning System (GPS) will turn on automatically. When you send a message, it is picked up by the nearest rescue stations. And since you will have registered your PLB, they will know who you are and where you are. This PLB activates fast by the press of a button. Its non-hazmat lithium battery will transmit your location for 48 hours so that you can continue sending out messages when you are in a hard to access place. Rescue teams will arrive on time because they will know your exact location. For night rescues, it becomes much easier to see you since ACR GlobalFix Pro has a built-in strobe. It is highly visible even on a moonless night, allowing people to zero in on your position with less hassle. Fortunately, it does not drain the battery quickly, so you will still get the performance needed for this device. Are you looking to communicate with loved ones even when you are out of range? Then you are looking at a two communicator. 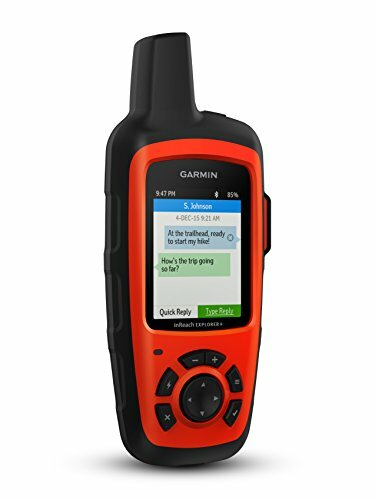 DeLorme InReach Explorer is a do-it-all PLB that will not only give you GPS positioning but also offer so much more. InReach Explorer GPS beacon has a host of other functions. It provides onscreen map viewing so that you can drop waypoints and plan your route before you undertake your journey. Your route will be color coded so you will see it perfectly against the background. This GPS beacon can also pair with your smartphone or tablet to allow using of the Earthmate mobile app. With the app, you will be able to create waypoints and view your route on your mobile device. The app also shows key aspects of your journey like the distance traveled and your maximum speed. This is because InReach Explorer has an accelerometer, barometer, and an altimeter. You also get weather forecasts for your location and destination depending on your subscription. It can be basic or premium which is flexible according to your budget. One of the advantages of the InReach Explorer is the ability to send 160-character messages. It allows you to input contacts fast so that you can send out preset and quick messages. You can also link it to social media websites so that with Mapshare, it is possible for your friends to see your progress. It will show your GPS coordinates, elevation, speed, and course. It gives your family and friends the assurance they need if you are taking exploration to the extreme. In case of an emergency, you just hit the SOS button to activate the search and rescue process. You can still communicate with search and rescue for up to 100 hours which makes it easier to get the type of help you need. This device always gives you a visual or a sound notification to know when a message has been received. DeLorme InReach Explorer operates on the paid Iridium network. It provides two-way communication and worldwide coverage meaning no place on this earth you won’t be able to send out a message. You get flexible and affordable rates by choosing from annual or monthly rates. It also allows storing of your location tracking data on the Garmin Cloud. The DeLorme InReach Explorer gives you an interactive personal locator beacon that offers more value for the money you invest in it. It is more than an emergency device allowing you to explore with a clear mind, map your route, and know you have a safety net should anything go wrong. Personal locator beacons are critical life-saving devices. You will never want to use one but going without one means the fear of needing to use one. Here, we have some of the best personal locator beacons. These devices either use paid or free global networks which makes them easy to choose depending on the features you need. If you need an affordable two-way communicator with GPS navigation, Garmin’s InReach Explorer+ is our top recommendation. 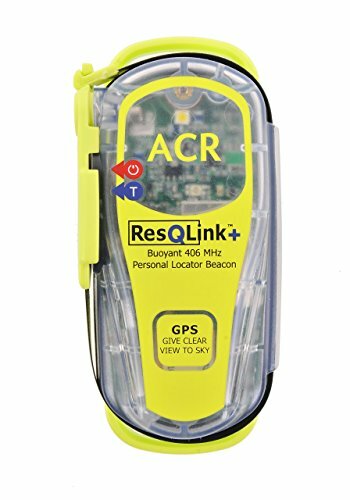 But if you want a cheap emergency GPS locator that will be used only in times of emergency, the ACR ResQLink+ fits the bill. Explore and stay safe with one of our top choices.